If you don't see images scroll to the bottom an click on "view in browser"
Elderly female presents from the nursing home with leg wounds. Patient was in the hallway and generally not that sick appearing. However technically, she had SIRS criteria based on heart rate of 95, RR=22, and temp of 38.1 . Labs showed a lactate of 7.3. Patient had bands on her CBC as well as toxic granulocytes. The patient’s appearance and location in the hallway belied the fact that she was actually in severe sepsis. Surgery consultants did not feel that the patient’s leg wounds required surgical debridement. Sayger comment: General surgery lately has been pushing back on cases outside of the abdomen. Other conference attendees noted an impression that there is sometimes disagreement by general and specialty surgical services about which service has primary responsiblity for some body areas. Elise comment: These disagreements need to go up the food chain to involve the Departmental Chairs and Administration. The patient developed hypotension. Fluid resuscitation resulted in decreased O2 sat and bilateral rales in lungs. It was later learned that patient had a history of diastolic heart failure. At this point sign out occurred. The sign out team placed a central line for pressor support. Patient was admitted to ICU. Blood cultures grew out strep. Consultants generally agreed that the wounds were chronic and did not require debridement or amputation. Christine comment: The leg wounds may have been a portal of entry for strep bacteremia/sepsis but they may have not been infected per se. For pen allergic patients you can give clindamycin/floroquinalone dog and human bites or clindamycin/doxycycline for cat bites. For pen allergic kids you can give Zithromax. High risk wounds: All cat bites, deep dog puncture wounds, hand wounds, and immunocompromised patients, and any injury going to the OR are considered high risk. Cat scratch disease results in regional lymphadenopathy 7-12 days after a cat scratch. It is due to Bartonella infection. Antibiotics are not indicated unless adenopathy is painful or the patient is immunocompromised. If you treat, 5 days of azithromycin is reasonable. Elise comment: Kitten scratches are more prone to cat scratch disease than cat scratches. Treat all human bite wounds as infected. Fight bite wounds are high risk. You should give at least one dose of IV antibiotics, check an xray, splint the injured joints, and consult hand surgery for these cases. Human bite wounds are polymicrobial infections and may also have eikenella. Augmentin is again a good choice for these wounds. For pen allergic patients you can use clindamycine and a flouraquinalone. Bites from rats, mice, and squirrels are also treated with Augmentin. Rat bite fever: Rigors, fever, polyarthralgia. Mortality 10%. Treat with Augmentin/Unasyn. Livestock bites have more potential for tissue damage and systemic infection. Rabies is a risk for bites from dogs, bats, monkeys, skunks, raccoons, and foxes. Rabies is not a risk for rats, mice, squirrels. When giving HRIG, infiltrate around the wound and give the remaining HRIG IM at a site away from the vaccine site. HDCVaccine is given at days 0,3,7,and 14. Elise comment: Small animals like rats don’t carry rabies because they have a high metabolism and die before they can infect someone. However, groundhogs are an example of a lagamorph/rodent that can cause rabies. Cirone comment: There was a case of rabies in cattle in Illinois in 2011. Faculty consensus: A patient bit by your average family dog in cook county does not need rabies prophylaxis. If the dog has been exhibiting aggressive behavior or unusual behavior or it was one of a pack of feral dogs or the dog just was transported from out of the country then give rabies prophylaxis. It is recommend to suture the following bite wounds: Face or scalp, less than 6 hours old, simple with no underlying injury, and non-immunocompromised patient. COPD Exacerbation=Acute change in baseline dyspnea, cough, or sputum production. Be cautious about O2 administration. Aim for an O2 sat of @92%. Higher O2 saturations can diminish the patient’s respiratory drive and result in hypercapnea. In COPD, supplemental O2 should raise the O2 sat relatively easily. If you need a lot of O2 to raise the O2 sat start thinking about alternative diagnoses like PE or pneumoia. Give antibiotics for admitted patients, increased sputum purulence, increased dyspnea, and bipap’d or ventilated patients. Basically this will include most patients and definitely any patient that is a little bit sicker. In general you can use a macrolide, flouroquinolone, or doxycycline. For severely ill patients be sure to cover pseudomonas with Levoquin, Cipro, or anti-pseudomonal cephalosporins. Bipap has been shown to decrease intubations by 65% in COPD patients. When intubating, bag with a low rate to allow time to for the patient to expire trapped air. The best ventilation strategy would a be low rate (10 or les), I:E ratio of 1:5, assist control, tidal volume of 6 ml/kg, 100% initial FIO2, and peep of 5 or less. Keep plateau pressures <30. Following the peak pressure is not clinically helpful. Ventilate with permissive hypercapnea. You can use manual decompression (take the patient off the ventilator and manually compress chest to force air out) on an hourly rate to increase air movement out of the chest. Harwood/Girzadas comment: Use a lung protective strategy with TV of 6ml/kg, Rate of 8-10, and start with FIO2 of 100% and titrate down to an O2 sat of about 92%. Braden comment: If you keep the O2 sat higher you may benefit by knocking out the patient’s respiratory drive and allow the vent to more completely control the ventilations. High flow, High humidity nasal cannula can deliver 40L/min of O2 with added humidity. It opens up alveoli and provides positive airway pressure. Girzadas comment: Will high FIO2 drive up the O2 sat and decrease respiratory drive? Elise and Bradon response: You can set the flow rate, humidity rate, and FIO2 so you can use this modality and set the FIO2 at 40% or something other than 80-100% FIO2 and not knock out the patient’s respiratory drive. Febbo comment: This will be an important modality for hypoxic lung problems like pneumonia maybe more so than COPD. Barounis comment: High flow O2 gives the patient some peep (3-5). It stents open the airway. You should use this when intubating a hypoxic patient. Elise comment: When is bipap a benefit over high flow O2? Barounis response: CHF is probably the time to use bipap. It does provide more peep than high flow O2. Purely hypoxic patients like PE’s and pneumonia’s will be better served by initially trying high flow O2 than bipap. Hi Flow O2 for hypoxic pneumonia or PE. Use for pre-intubation. Also consider trying this modality initially for severe asthma. For the patient who is struggling with the bipap mask, you can also try high flow O2. 41yo NH patient with dyspnea and tachypnea. Patient is febrile and tachycardic. Patient’s limbs are diffusely rigid. CBC with 26.7 WBC’s. Lactate is 5.1. Initial CK was 253. CSF was clear with 2 wbc’s. UA showed wbc’s but no bacteria. Most likely diagnosis was neuroleptic malignant syndrome vs. sepsis. Patient’s CPK increased markedly. Neuroleptic malignant syndrome was diagnosed. Treatment for neuroleptic malignant syndrome: Correct hyperthermia, IV fluids, give benzo’s and dantrolene for muscle relaxation. Andrea comment: If there are no serotonin meds on board, give bromocriptine as well. Bromocriptine can worsen serotonin syndrome so avoid this medication in any cases where serotonin syndrome is a possibility (serotonergic meds on board). Case 1. 63 yo male with hx of hypertension. He drank a pint of vodka daily. Presented with tachycardia and hypertension. Patient had a facial contusion and a left hand injury. Magnesium was low and LFT’s were mildly elevated. Head CT was normal. The DSM5 uses the term Alcohol Use Disorder as a broad term that encompasses alcohol abuse and alcoholism. Chronic ETOH use results in an extrinsic tonic sedative effect on the brain. The brain compensates by increasing excitatory activity. This compensatory response includes glutamate release and up regulation of NMDA receptors. GABA receptors are down-regulated and there is decreased sensitivity to benzo’s. Then when the compensated patient ceases ETOH use, you get a brain that is hyper-stimulated. Seizures: Brief tonic clonic seizures early in the withdrawal state. <3%develop status epilepticus. 40% will go on to DT’s. Uncomplicated Alcohol Withdrawal: 6-24 hours after cessation of drinking. They have tremor, tachycardia, diaphoresis but no altered mental status. Hallucinosis: Ted believes this diagnosis does not actually exist. Hallucinations in this syndrome are not associated with disorientation. Very few cases of this has not been reported. Delerium Tremens: Starts 2-4 days after cessation of alcohol use. The earlier DT’s occur following alcohol cessation portends worsening symptoms/signs. The hallmark of DT’s is disorientation, global confusion, and hallucinations. As with other forms of delirium, DT’s encephalopthy will wax and wane. The patient also will have peripheral effects of a hyperadrenergic state. Be sure to rule out other causes of delirium. You can have DT’s without prior seizures. Seizures and DT’s are separate entities. They can go together or not. There was a group discussion regarding the example of a patient who normally lives at the 500-600 range of serum ETOH levels. When that person drops to the 250 range they develops DT’s. There was consensus that “relative ETOH deprivation” can result in alcohol withdrawal syndromes even with relatively high serum ETOH levels. For Ted the key question to ask a patient is “How many days per week do you drink?” Then “When you drink how much do you drink?” Patients will minimize their alcohol use. One way to get at how much ETOH a patient drinks is to ask how much alcohol the patient buys. Clinical cues to occult alcohol abuse: swollen hands and feet, hypomagnesemia, mild LFT elevation, mild macrocytic anemia, mild thrombocytopenia. Criteria for admission: Significant medical diagnosis, significant trauma diagnosis, and severe uncontrolled withdrawal symptoms. Seizure may or may not indicate need for admission. Management: Provide a quiet environment, frequent re-assessments of the patient, evaluate for other medical problems. Give medications to get the patient to a point where they look like they are sleeping. High dose lorazepam >10-15mg/hr can result in lactic acidosis due to the propylene glycol in lorazepam. Lower dosing regimens don’t cause lactic acidosis. Febbo comment: To get rapid control of a patient having severe withdrawal symptoms, IV valium may be a better choice than lorazepam due to it’s rapid peak action at 5 minutes. Ted agreed with this. Phenobarbital acts synergistically with lorazepam. It is cheap and long acting. The combination of phenobarbital and lorazepam can increase the risk of respiratory depression and hypotension. Ketamine is an option because it is an NMDA receptor agonist. Ted feels this is a great choice for rapidly sedating a very agitated ETOH withdrawal patient. He gives 0.5 mg/kg as the initial dose. Dexmedetomidine has not shown a shortened ICU stay despite resulting in overall lower benzo doses. Elise and Harwood were uncomfortable with starting at 2mg dosing of Lorazepam. They wanted the first dose of lorazepam to be 4 mg.
Be sure to write a procedure note for any procedure, even removing a crayon from a kid’s note. Document whether you used sedation for the procedure. Sedation for procedures increases the RVU’s for that procedure. For burns, in addition to your H&P, document the procedure of cleansing or debridement, as well as applying antibiotic ointment and a dressing. You can bill for any burn management procedures if you do it. Document cardiac monitoring before and after treatment. This increases your RVU’s. Note the rate and rhythm. Document the rate and rhythm before and after any intervention. Document your assessment of the pulse ox value (adequate oxygenation, hypoxia). Document if any intervention you took based on that assessment. Document post splint care. This increases RVU’s. You have to write something like: Neurovascular status evaluated after splint applied. 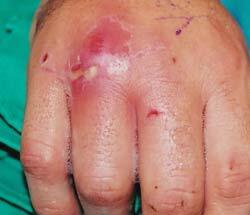 Patient has normal pulse and capillary refill. Patient has normal movement/sensation of fingers. Splint is comfortable for patient and not overly tight. Be careful with voice dictation. There tends to be a lot of errors. You have to review your dictation for errors. Dictation errors can be embarrassing and problematic if your chart is reviewed for medico legal reasons. Length and location of the wound determines the reimbursement. Measure each wound with the tape measure that is wrapped around the 4X4 gauze in the suture kit. Don’t guesstimate the laceration length. Guesstimation can under or over-estimate the length. Digital and regional blocks also increase RVU’s. Document them in your procedure note if you do one. Optimize your diagnoses because it improves your RVU’s and improves the hospital case mix index. For example, Acute STEMI demonstrates severity of illness better than Acute Chest Pain. DKA is better than hyperglycemia. Hospital reimbursement improves with a higher case mix index. We can bill for smoking cessation counseling if you discuss with the patient and or family for more than 3 minutes. You need to document your conversation and the length of time of the conversation in the chart.